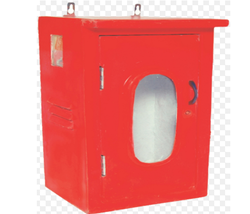 We are engaged in manufacturing a wide range of FRP Fire Hose Boxes that is utilized for storing fire hoses and nozzles. 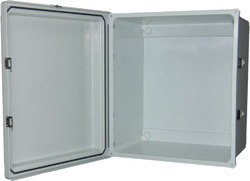 Available with both single and double door features, these boxes are manufactured using optimum quality material. We are a unique entity in the industry, actively committed to providing FRP Double Box. We are one of the noticeable providers of a quality grade array of FRP Fire Hose Box for our valued clients. We are offering a wide range of Fibre Fire Box. Inferable from boundless mechanical involvement in the business, we offer practically propelled scope of FRP Junction Box that have high quality and are execution based. Our whole product offering is strong in development and guarantees smooth operations. FRP Junction Box is dimensionally exact in nature and is offered in distinctive standard sizes. These are impeccable to secure the gear kept inside furthermore utilized for joining wires to permit simple access when repairing is needed. We guarantee that the whole item range is fabricated utilizing quality tried fundamental material so that the final items are erosion safe furthermore have high load bearing limit. We can likewise offer our intersection confines both standard and redid sizes according to the customer's particular necessities.